Blogging with students, no doubt, has captured the attention of many educators around the world. It not only is a flexible online platform to store and share teacher and student created content, but also addresses most 21st century skills and literacies. 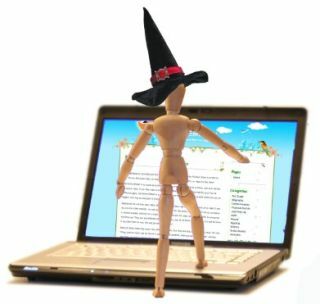 I have published over 100 posts related to blogging on Langwitches, including a Guide to Blogging flyer and the popular Blogging Unit for Elementary School. I am thrilled to see many teachers interested in and implementing “blogging” with their students. These teachers are pioneers in exploring new frontiers, pushing boundaries, entering new territories and above all action researchers as they are stretching themselves and their students beyond their comfort zone to transform teaching and learning. taking baby steps in moving up the classroom step ladder. creating an online learning environment by using classroom blogs. allowing students to write and administrate their own blogs. educating (with the help of their students) their parents how to get the most out of a classroom blog. connecting their students and their blogs to global peers via quad blogging or via student blogging challenges. changed their media and publishing release to reflect the work their teachers and students are doing. taken on a school wide initiative to embark on the process of moving static classroom websites to global communication hubs. chosen to implement blogfolios (combination of digital portfolios and blogs). administrators who are blogging to model for their teachers. classroom or student blogs that lack quality content. students who seem to be held to no standards regarding what they are posting. teachers who seem to be at a loss on how to use blogs to INTEGRATE their curriculum content and have students use blogs in addition to their regular (traditional) assignments. no comments are encouraged, hence no conversation. adult commenters (teachers, parents or other mentors) not modeling quality commenting and writing. blogs that are being left abandoned after a few posts. university students, who have been “assigned” in their courses to comment on other blogs, leaving poor comments, poor writing skills, demonstrating clearly that they have not read the posts and copied and pasted generic phrases to superficially complete their assignment. Develop a rubric to assess your students’ blogging skills. Writing: We acknowledge that most of us (teachers) did not grow up with blogs, nor did someone teach us how to blog/comment. If we require our students to blog, we need to be become knowledgeable about blog writing (hyperlinking, embedding media, categorization, etc.). Commenting: We are our students’ first and primary commenters. This is the time and place to model quality writing AND content as well as encourage them to expand their own horizons to make connections in the online world. It takestimeto learn how to become a quality commenter FOR our students. We as teachers need to model commenting, model writing, model proper grammar, etc. We need to take the time to discuss and reflect on comments left by others on our blogs and respond to continue a conversation. Reciprocating: If we expect others (educators, mentors, etc.) to take the time to comment on OUR students’ blogs, we need to be prepared to reciprocate. If we want our students to have an audience, we need to be the audience for others. Teach your students to leave quality comments on other blogs with a link back to their own blog or formally volunteer to be a mentor teacher for other blogging classes or students. Commitment: Reading, responding, assessing and monitoring our students’ progress on their blog requires pedagogical commitment. It is a commitment to student learning, not a commitment to using a specific technology platform. I am in the process of creating an Info-flyer for teachers and mentors to learn about Stepping it Up: Blogging with your Students. What should be included? What have I missed above? What are some of your guidelines for quality blogging with students? How can we help teachers to step it up?